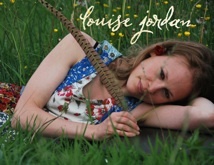 Azania is a music and events management company based in the south of England which manages the up and coming, award winning, multi-instrumentalist, composer and singer Louise Jordan. Azania also organises live art performances and educational opportunities in the New Forest, south Wiltshire, east Dorset and west Hampshire under the brand of forest LIVE. Azania takes its name from the ancient name for the coastal region of East Africa, an area of the world that Azania Ltd is proud to support through the work of the Trust for Overseas Aid and Development. So far Azania has raised over £1500 for TOAD. If you would like more information on Azania, would like support as an artist, are interested in recording your music or for anything else then please email or call 07980 374971.